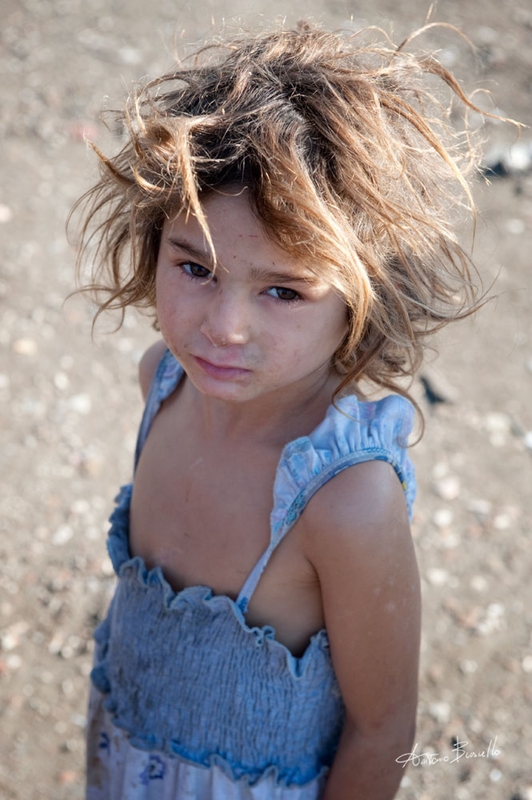 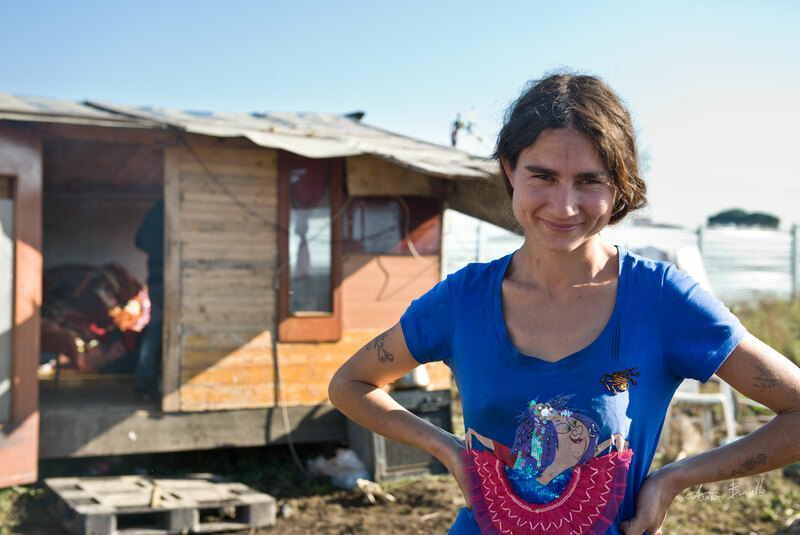 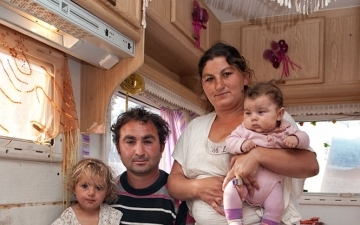 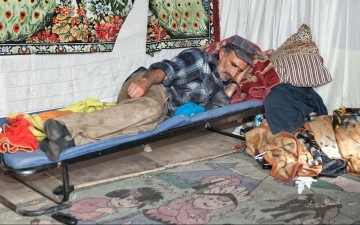 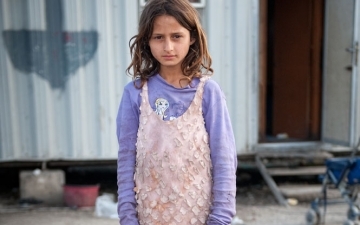 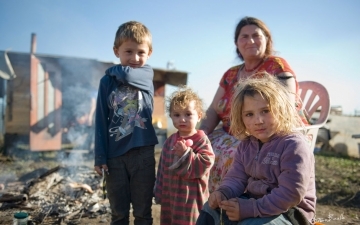 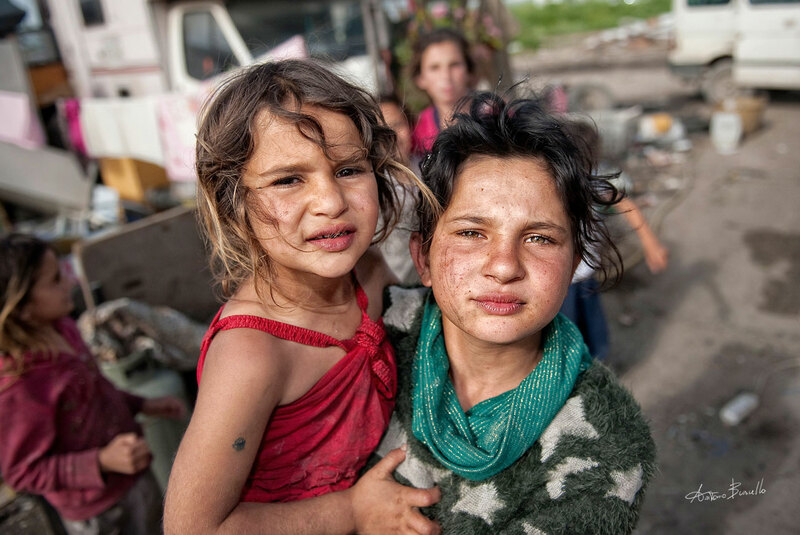 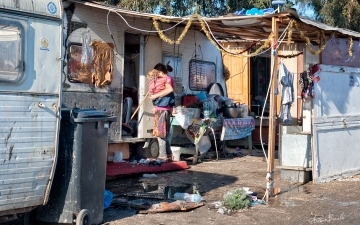 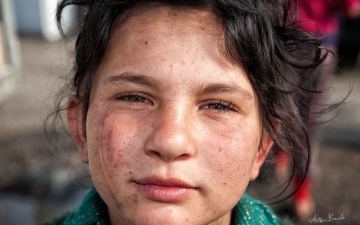 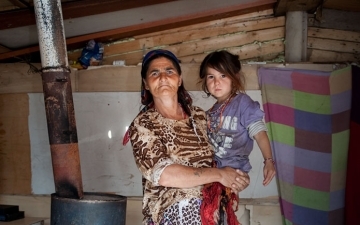 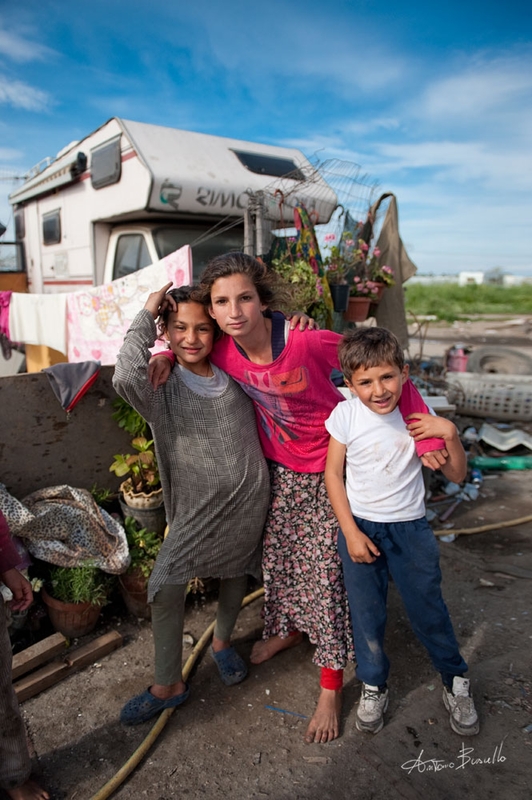 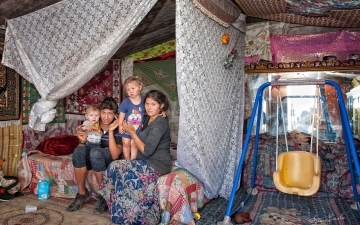 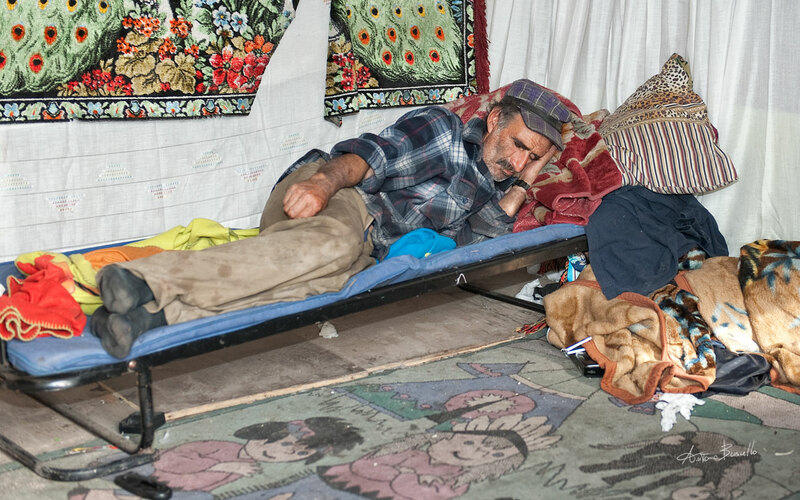 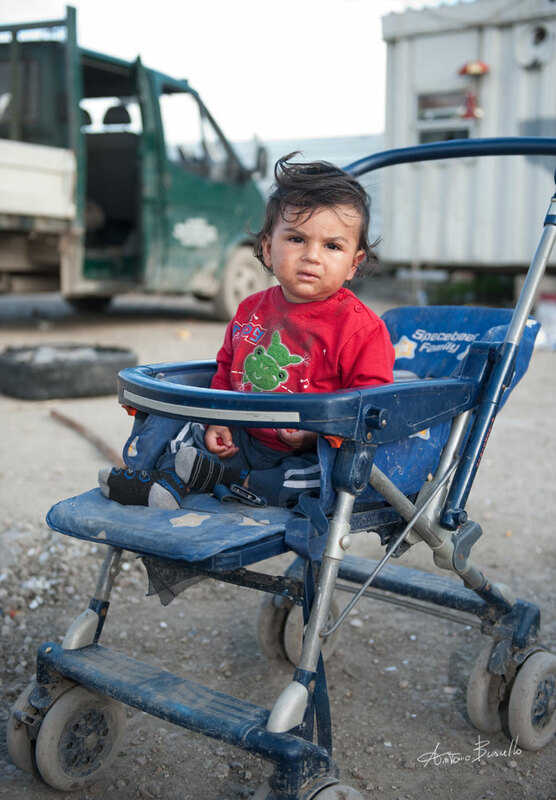 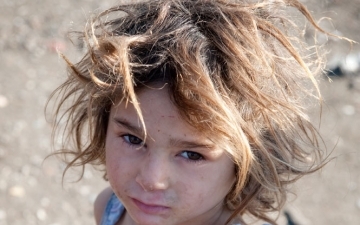 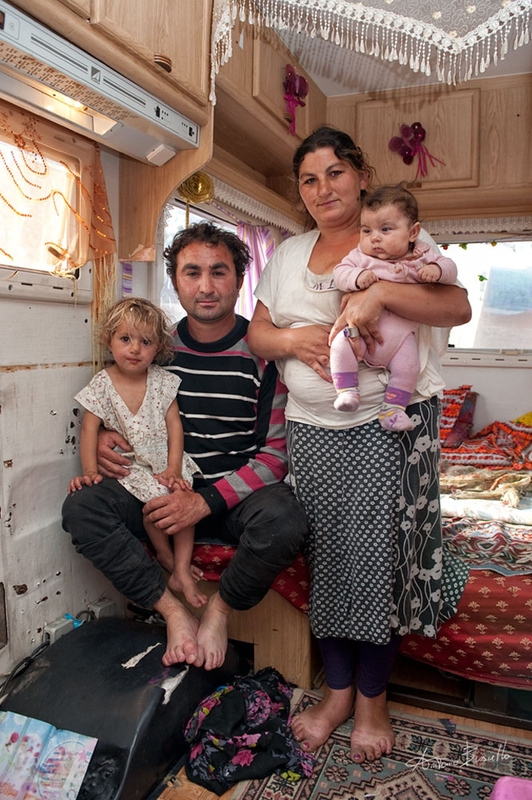 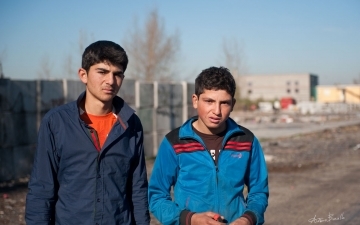 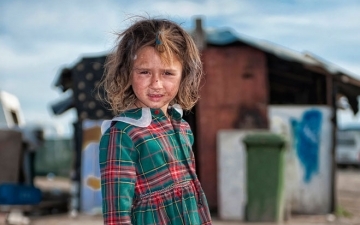 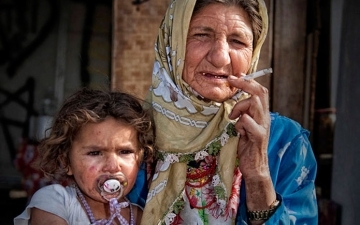 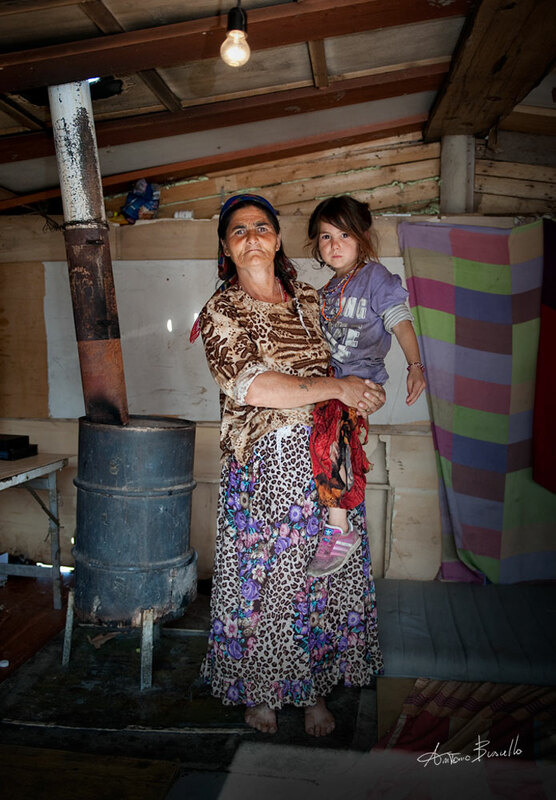 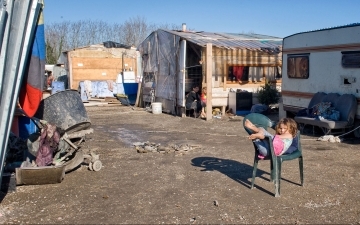 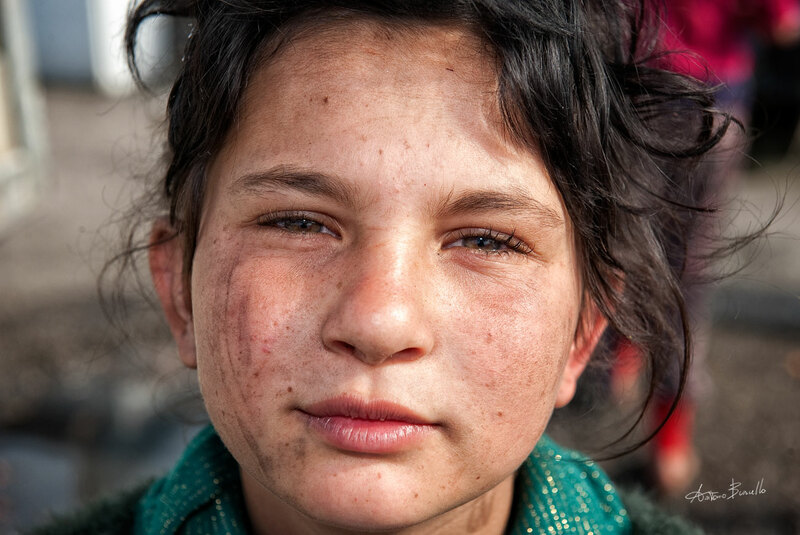 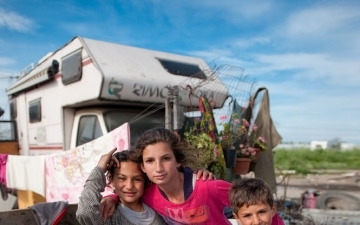 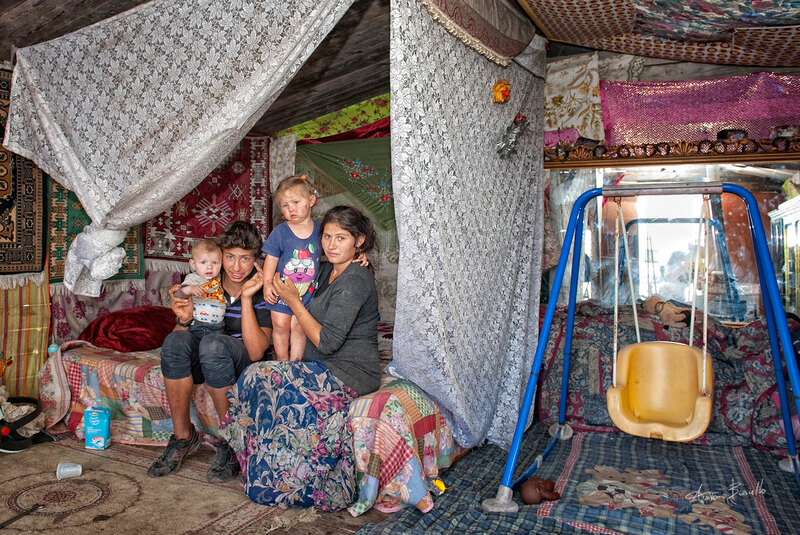 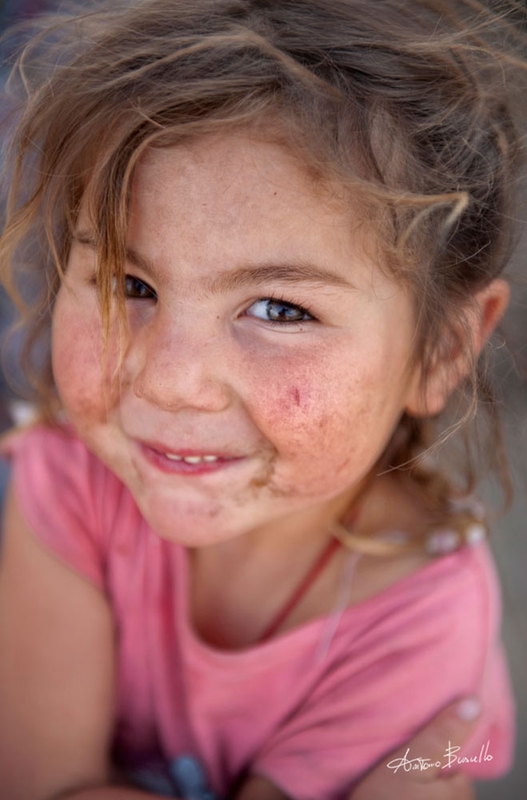 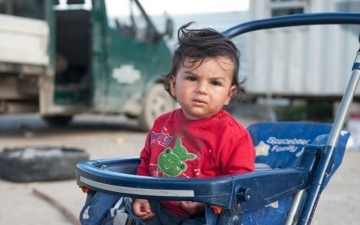 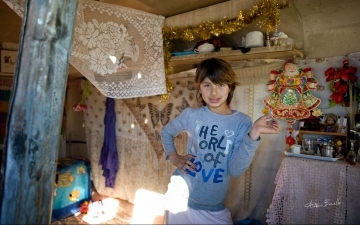 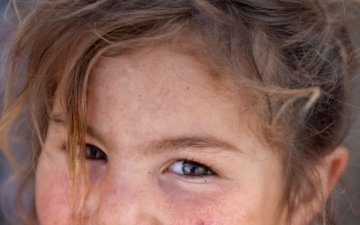 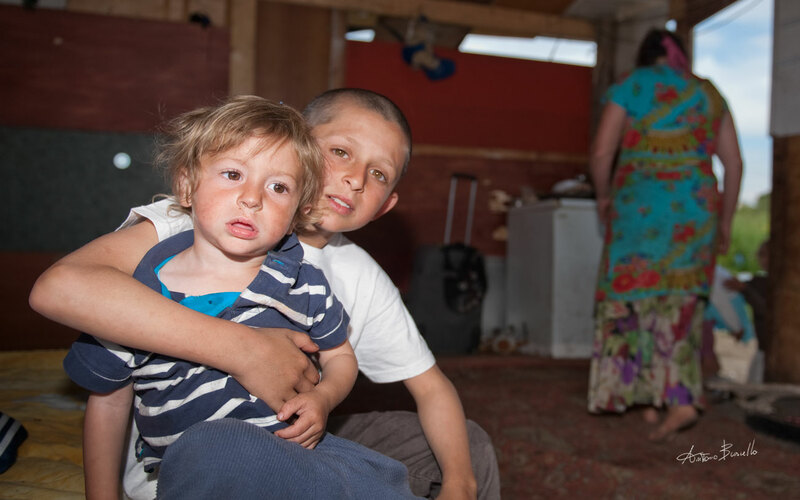 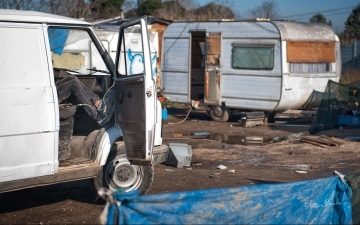 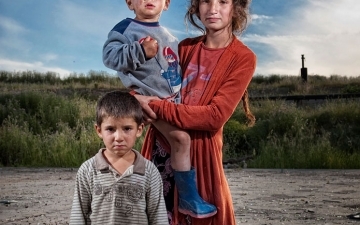 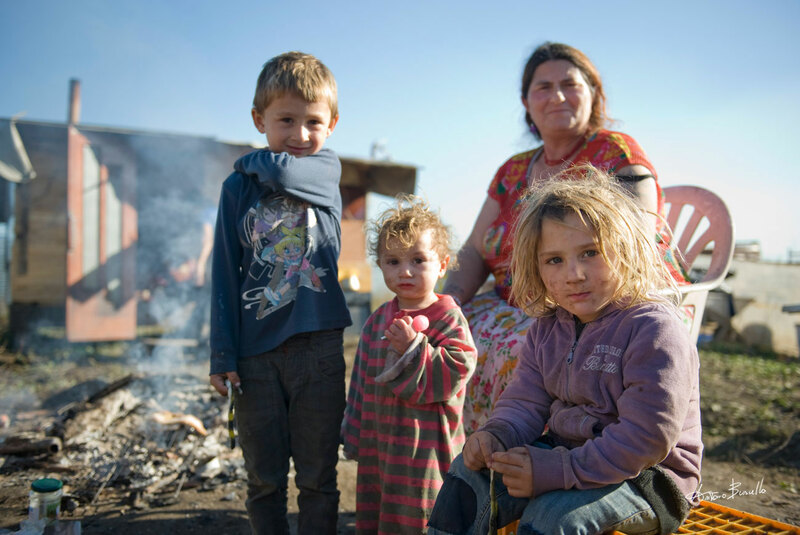 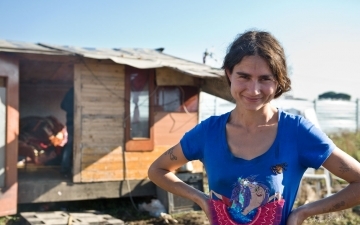 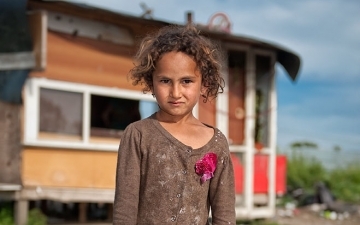 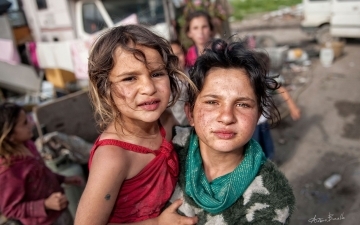 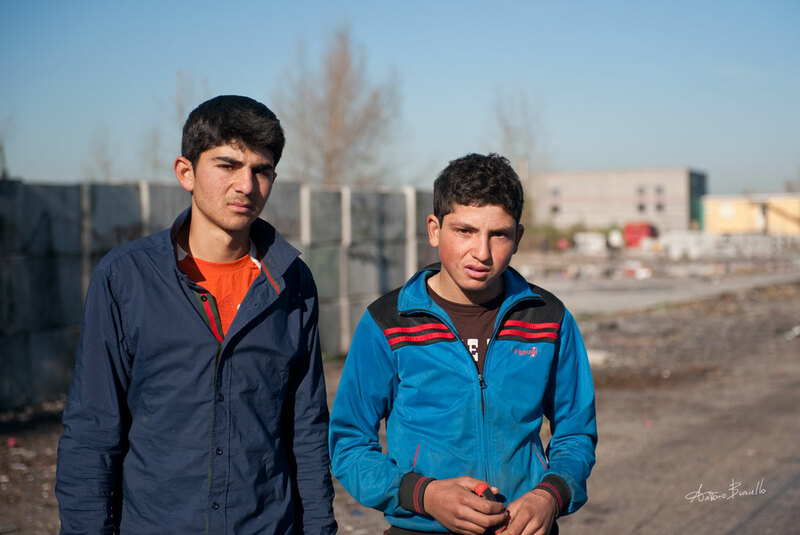 Recent corruption scandals in Italy uncovered the major problem of the Roma camps. 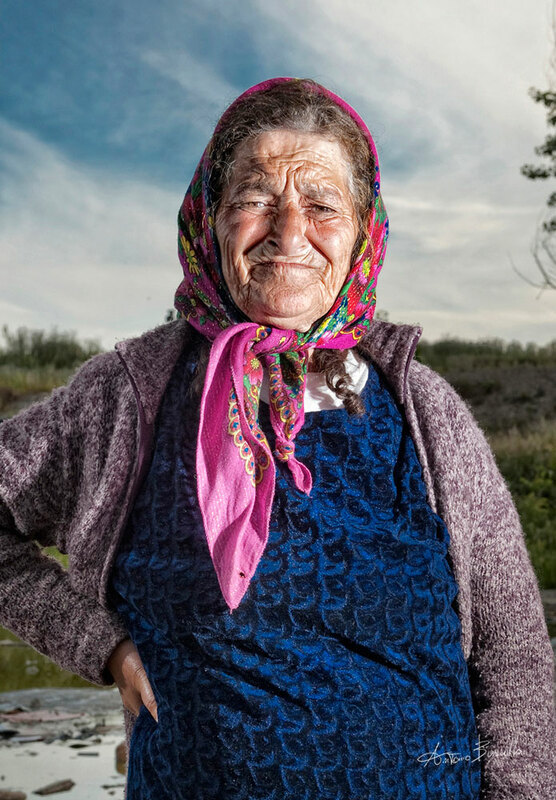 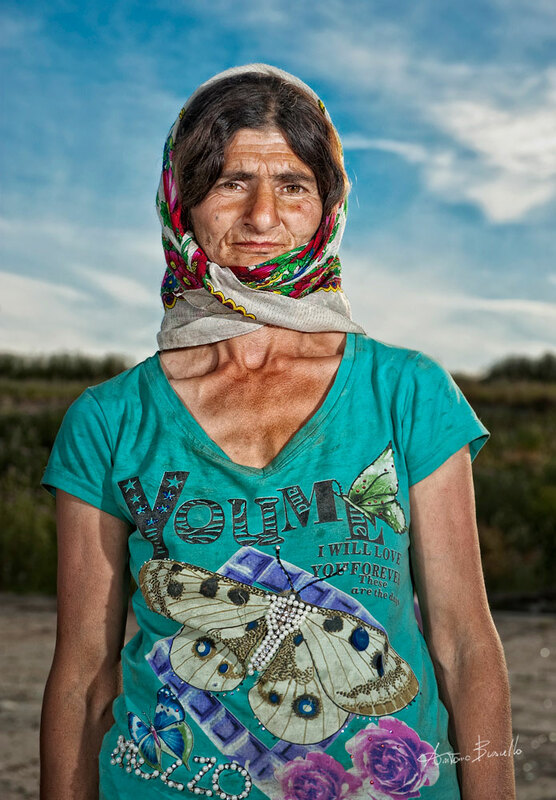 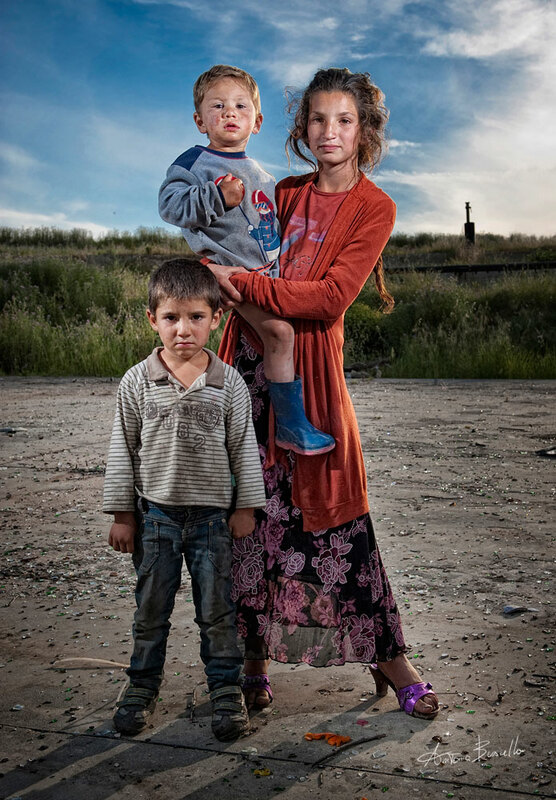 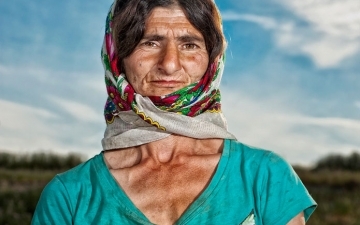 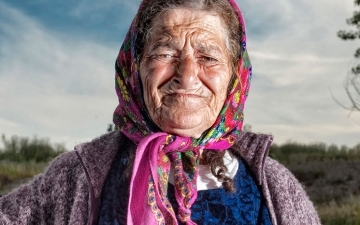 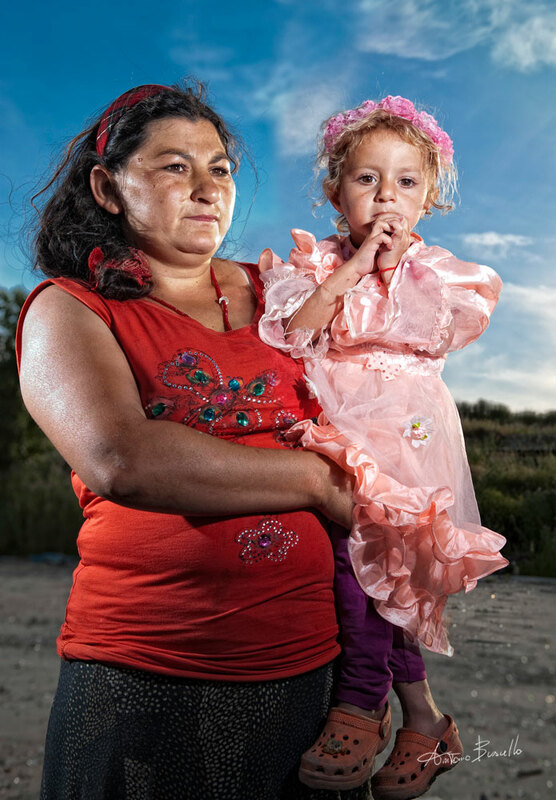 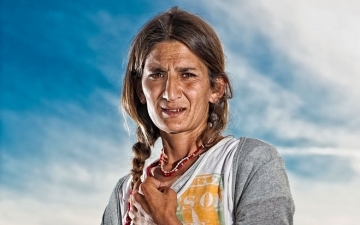 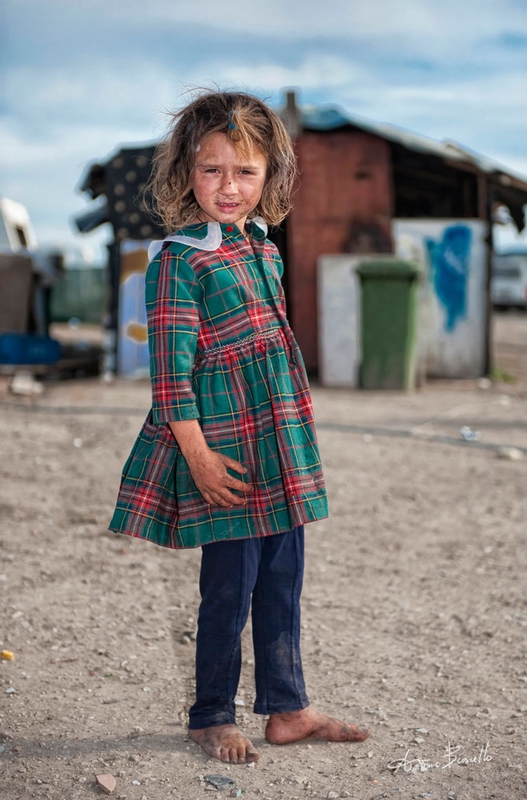 Most of the images of this body of work have been taken in the camps of Giugliano, Campania, where one of the most polluted locations in the Western world has recently become home to a large Roma camp. 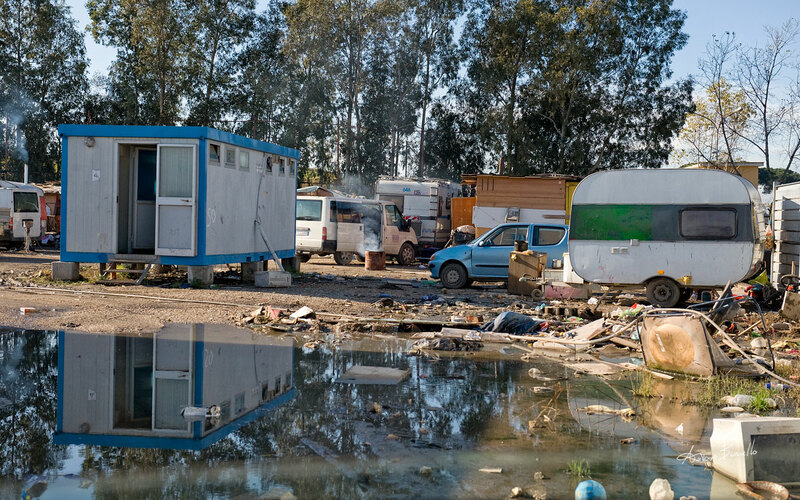 400.000 Euro have been spent to relocate the Romas to an area called “Aria vasta Giuliana,’ a piece of land between two toxic and confiscated dumps,Taverna del Re dump and the Resit dump. 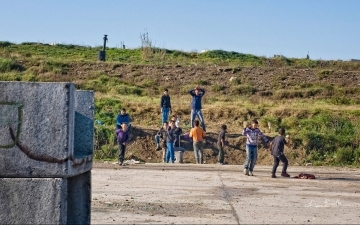 The area, according to the declaration of the ex Mafia boss Carmine Schiavone, is filled with toxic waste such as PCBs, industrial sludge, asbestos cement, eternit, dioxins, metal drums filled with dangerous solvent and any kind of toxic industrial waste, that Camorra has illegally dumped, buried or burned for decades creating one of the biggest ecological disaster in the western world. 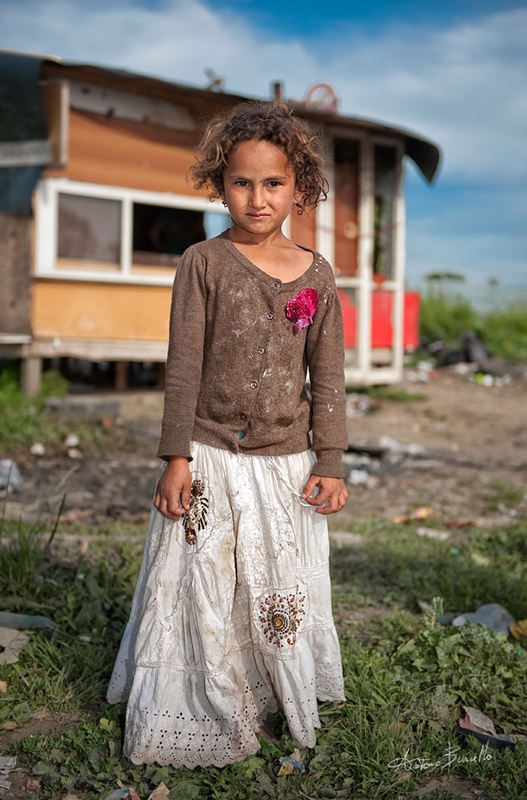 So much waste has been placed there that the topography has changed from flat to hillside.The Roma people live in extremely unhealthy conditions. 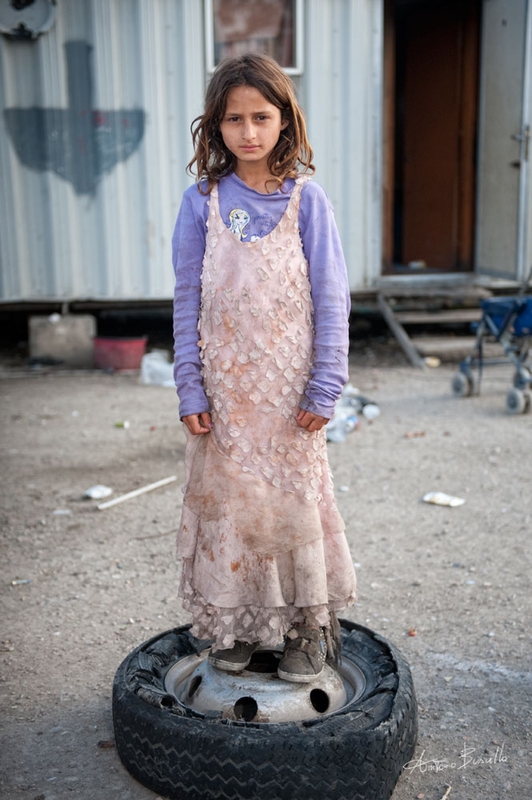 Children play on contaminated piles of waste and trash. 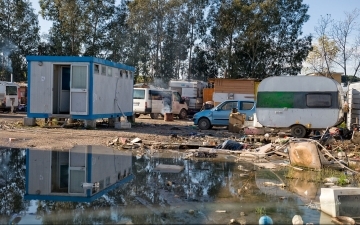 Toxic gas and bad smelling water spew out of the land only a few meters from the camp. 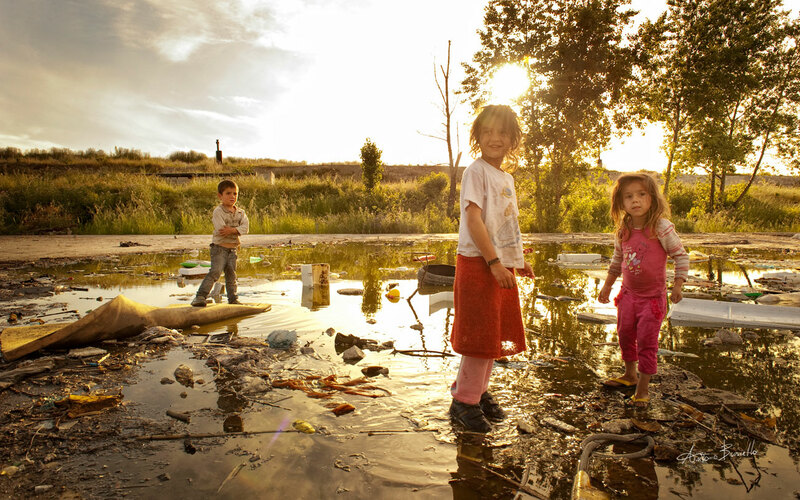 Some aquifers are highly contaminated. 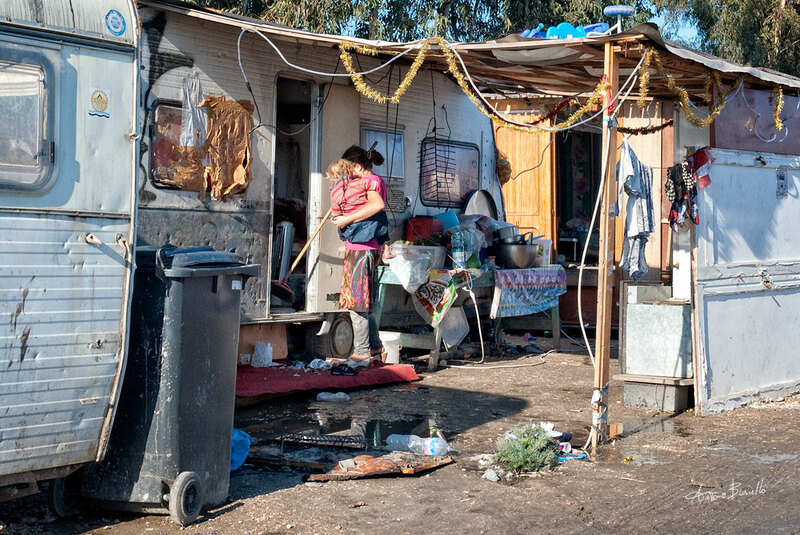 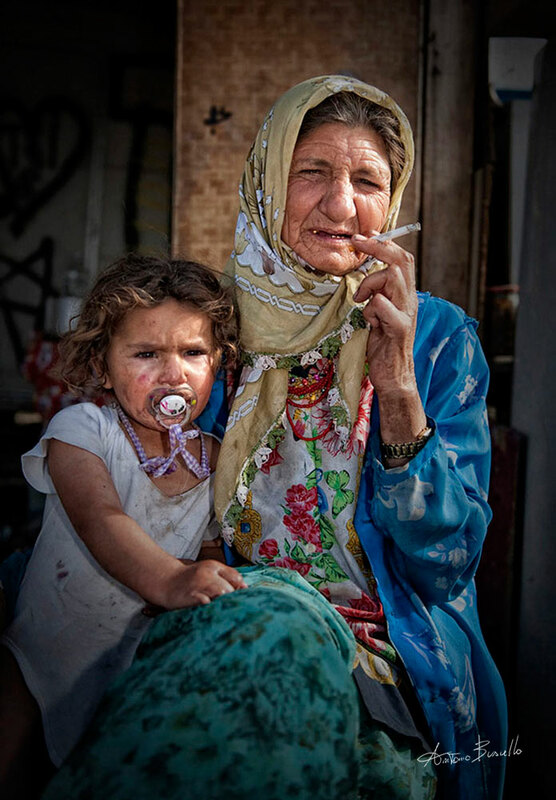 As a result, members of the 70 Roma extended families suffer a huge increase in debilitating illnesses.The Camorra dumps waste from northern Italy without paying for proper waste recycling processing and earns billions of dollars from the operation. 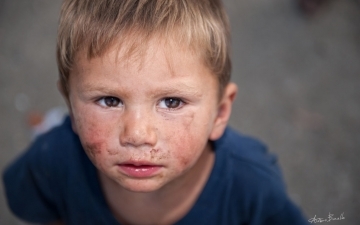 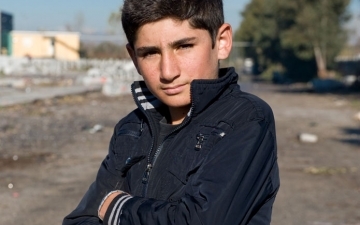 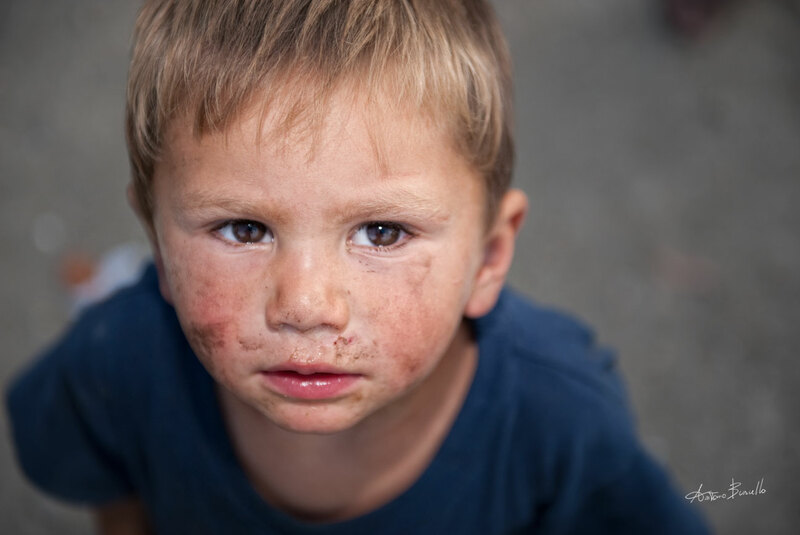 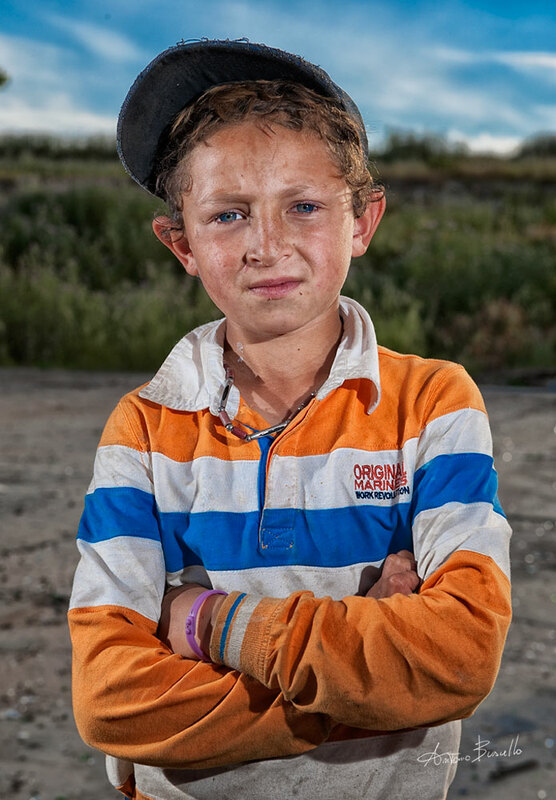 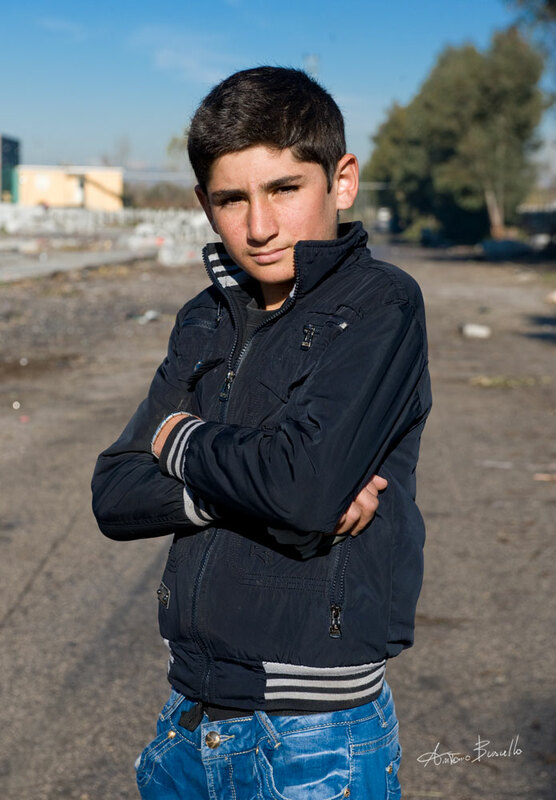 The organization often hires the Roma, especially young boys who are paid only 10 euro a day to set fire to piles of industrial waste or truck tires. 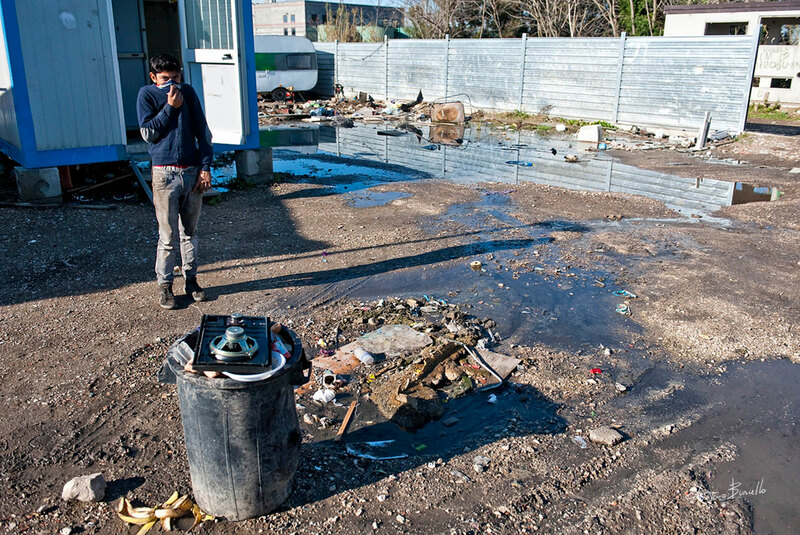 This Roma camp risen right in the middle of one of the most contaminated and toxic place in Italy represent the dramatic situation in this part of Europe."